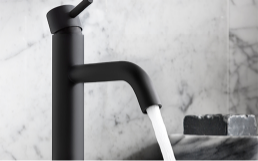 Generally, when a faucet drips, this usually indicates a blockage between the ceramic discs of the internal cartridge. 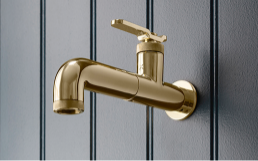 Once removed, soak the cartridge in a descaling solution or a 50 / 50 mix of warm water and vinegar for approximately 2 hours, flush under cold running water and replace. Details on how to remove the cartridge can be found within the installation/maintenance instructions of your product. Regular maintenance is particularly important if you live in a hard-water area. 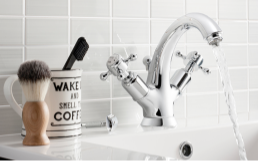 This is not uncommon for products that do not have an aerator, and some products with specific spout designs. This is due to a siphon effect which is created by changes to atmospheric pressures/heat changes within the product; this is quite normal. How do I clean my shower valve / shower head? 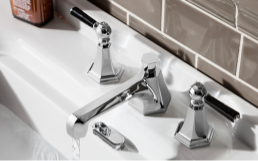 All of our brassware products should only be cleaned with warm soapy water and a soft cloth. We would not recommend the use of any bathroom cleaner, as some contain harsh chemicals which may cause irreversible damage to the surface. Can I obtain installation instructions / dimensional drawings / exploded views for my product? Installation instructions / dimensional drawings / exploded views can be obtained from the specific product page within the Crosswater London website. Have other questions? Please contact our customer service team at 844-992-8371 or email [email protected].